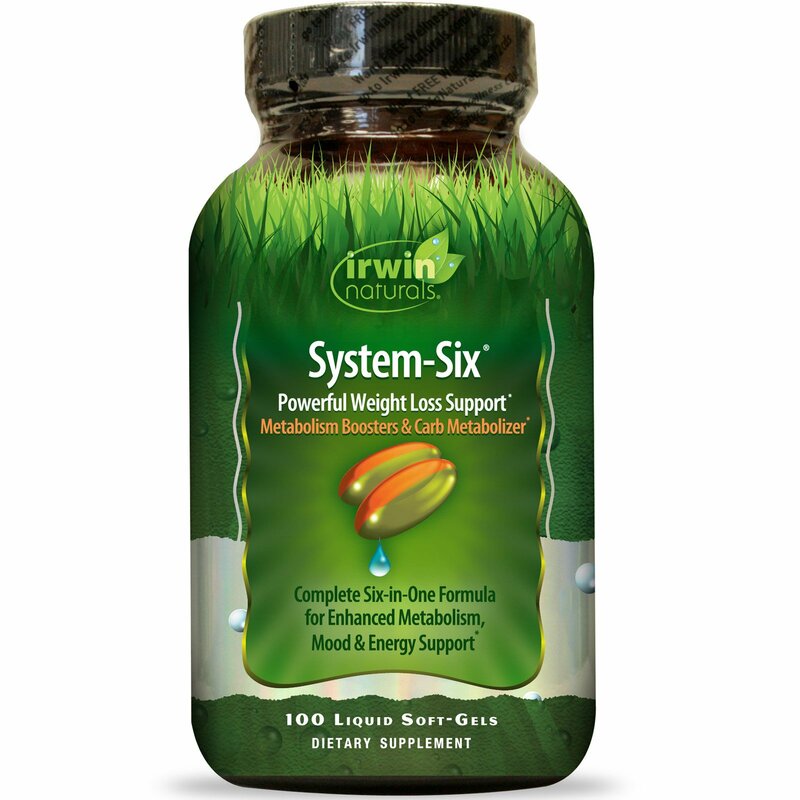 System-Six is a specialized formula that provides six support systems to assist with weight loss goals. One: Thermogenesis - A combination of Green and White Tea extracts deliver powerful nutrients to enhance thermogenesis (heat production) and help burn calories. Two: Energy - Natural caffeine plus the botanicals Yerba Mate, Guarana and Spirulina help you feel energized. Three: Mood - Standardized Rhodiola extract is included in this formula to support brain health. Four: Metabolism - A combination of B vitamins help convert food into energy and assist in the breakdown of carbs, fats and proteins. Five: Carbohydrate Support - Chromium supports the breakdown of carbohydrates into glucose and helps to maintain healthy blood sugar levels already within a normal range. Six: Antioxidants - Vitamins C and E plus other nutrients with antioxidant activity help to protect cell health and provide nutritional support for the body. System Six, when combined with a low-calorie diet and exercise program, delivers powerful weight loss support to help you meet your goals. Directions: (Adult) Take six (6) Liquid Soft-Gels per day with meals. May be taken all at one time or in divided doses. If caffeine keeps you up at night, do not take this product in the evening since it contains natural caffeine. Gelatin, purified water, glycerin, soy lecithin, beeswax, annatto, turmeric, titanium dioxide, St. John's bread and sodium copper chlorophyllin. Do not use if safety seal is broken. This product contains niacin and may cause a temporary warming and tingling sensation. This product contains caffeine and may affect blood pressure and/or heat conditions. Check with your doctor before using the product if you are using medication or have any medical conditions. Do not use if you may become pregnant, are pregnant or nursing. Do not exceed recommended daily intake. Not intended for use by persons under 18. Keep out of reach of children. Store in a cool, dry place.